Enhance the selfies on iPhone by using these creative apps to get the best possible angles, effects and filters. Let’s face it, selfies are the rage, from the Kardashians to Brock O’Hurn to girls and boys next door alike. In fact, Manny the Cat has joined in the selfie craze. And with that, one needs to be armed properly, with the right lenses, and the right apps to snap selfies with. It’s undeniable that the iPhone is the standard in taking beautiful pics. Head to head with a Samsung, Business Insider’s Lisa Eadicicco was able to show that the iPhone just simply does photography better. In fact, through The Verge, Austin Mann showed how the iPhone 6 Plus could take National Geographic-worthy photos. He has since updated his portfolio to show that the iPhone 6S could do the same. Of course, the selfie isn’t anything like snapping stunning photos of Iceland or even chronicling last night’s sumptuous dinner. Unless you are, indeed, Brock or a Kardashian, or even a would-be model, selfies are just that—casual snaps you share with the rest of the world for self-expression’s sake. No need to make it look like a Beyoncé DSLR-assisted “selfie.” However, beauty is always universal, and everyone wants to look good, so we understand why you would want to take your selfie game even further. Aside from the iPhone’s already-excellent camera, the best picks in apps will help you achieve just that. If you are an Android user, we still got you covered. 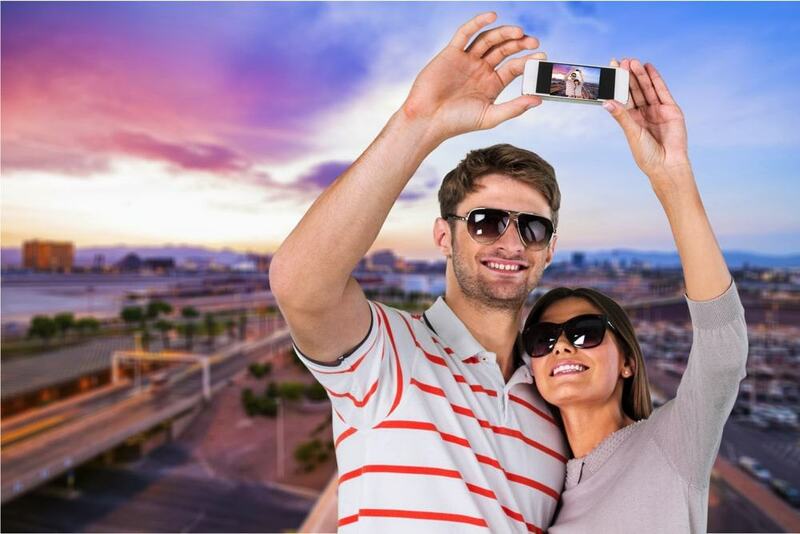 Check out our list of best selfie apps for Android. It should enhance the user’s self-portraits. It should create dramatic contrasts, or just help make a selfie look better. It should allow the user to create original and unique compositions, even though they are just selfies. In general, these can be achieved with just filters. In spite of the fact that the main social media networks used in photo sharing, Facebook, and Instagram, already have built-in filters, other tools that can achieve these effects are still welcome. Why? Because Instagram is simply so popular, using their built-in filters could make a selfie look common and boring. Anything to help a selfie stand out, whether filters, borders, and other add-ons, would be great to use. While most generic photography apps are just re-used for selfie-making, there are apps built specifically for taking awesome selfies. CamMe – Control your selfies with hand gestures. CamMe by PointGrab is probably the most creative app created specifically for taking great selfies. With a hand gesture that allows a user to take selfies hands-free, and without the need for a selfie stick, this app is undoubtedly a must-have for selfie addicts and aficionados. Just set your device 2 feet from you, raise your hand, close it into a fist, pose, and you’ll have great, hands-free selfies. There’s also a fun selection of templates for “FunShots,” with templates like the Statue of Liberty, a SWAT officer, a gorilla, an astronaut, and even Leonardo DaVinci’s David in surfer shorts. If filters are your thing, B612 by LINE Corporation is an app with a lot of filters to choose from. It also has effects such as background blurring, perfect for keeping the focus on the subject: You. B612 – Add beautiful filters to selfies. As mentioned earlier, multi-purpose cam apps are the selfie apps of choice for most. Why download a selfie-centric app, when you can use an app for all sorts of iPhone-photography, or iPhoneography? Rookie Cam – Gives Live filter options, Professional editing. There are certain apps that do a better job of taking dramatic pictures, though. Rookie Cam by JellyBus Inc. has one of the most beautiful interfaces I’ve seen on a cam app. It also has a comprehensive set of filters, that you won’t need to worry about seeing your selfies look like anybody else’s. It also has great, professional-looking templates, though those may require in-app purchases. If you have to have just one app for taking selfies, Rookie Cam may suffice. Our other pick among the multi-purpose photo apps is the already-iconic Camera 360. Camera360 by PinGuo Inc. is so good at adding filters and beautifying people, that some social media netizens have commented that it should be banned. Maybe these guys decided to meet up with people who use Camera360 for their selfies, that when they finally met up in person, the people who enhanced their photos using Camera360 looked nothing like their photos. Hyperbole aside, though, Camera360 does have nice filters, fun and quirky stickers, and editing tools that you may require for posting that slick, dramatic selfie. So maybe you want to stick with your stock camera app. That’s perfectly fine. After all, Austin Mann used only his stock camera app to create those stunning photos. Snapseed by Google, Inc. If you need a one-stop, one-click editing app, this is it. Don’t let the slick, minimalistic interface fool you. 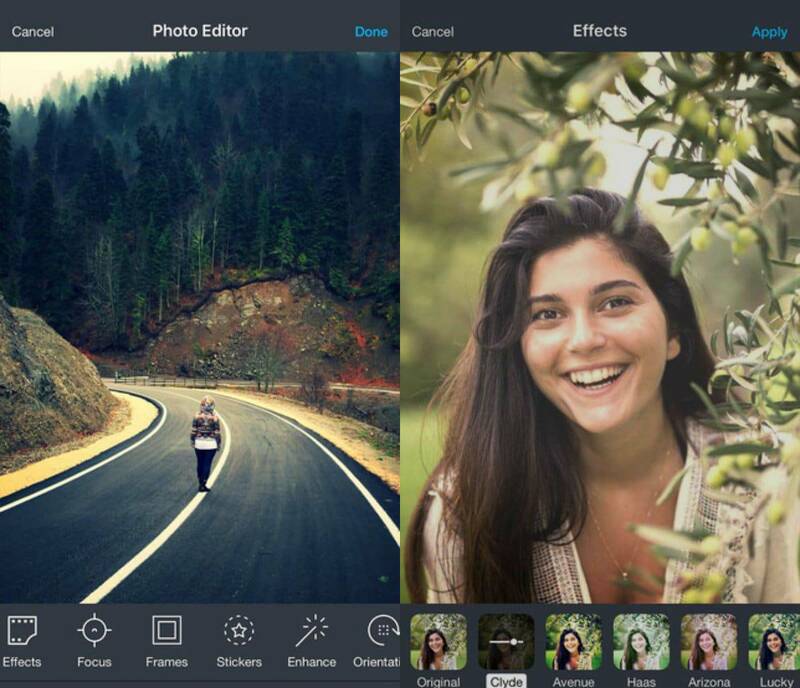 Inside is a powerful editing app that adds interesting edits to your photos. Try the “Lens Blur” to add focus to your photos, or the “Glamour Glow,” or “Drama,” to add just that. There’s also “Tonal Contrast,” “HDR Scape,” “Grunge,” Vintage,” “Grainy Film,” “Retrolux,” “Noir,” and “Black & White.” There are also frames available, to suit your fancy. Because it’s so slick, and it’s made by Google, I initially thought it’d be complicated to use. But Snapseed added drama and depth to my selfies, that I felt that it belongs to a serious selfie takers app list. Photoshop Mix by Adobe. 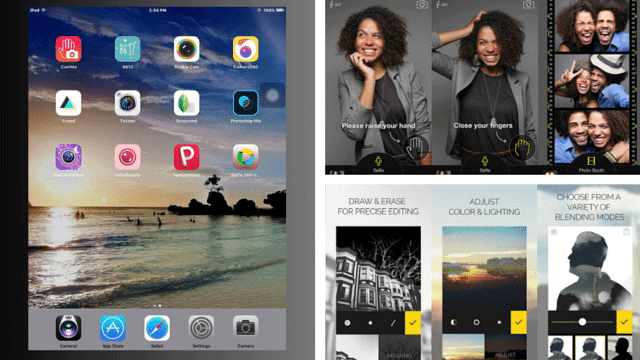 Those who are familiar with Adobe’s creativity suites will be happy to tinker with the free Photoshop Mix app. While this will take complexity, and who really needs complexity for selfies, there’s greater control over what you can do with your photos. I’m not exactly sure why a selfie addict would take the trouble to run their selfies through Photoshop Mix, but keeping up with selfies like the A-Listers such as the Beyoncé’s and the Jenner sisters’, comes to mind. While you could certainly use the “professional” photo-editing apps, beauty and selfie-specific apps are also available. One stands out, as it actually lets you add a smile to your photos! YouCam Perfect by Perfect Corp. not only lets you correct red eyes, smooth out blemishes, it also adds a smile if you forgot to “say cheese.. Perfect Corp also has another nice app, YouCam Makeup, which lets a girl try on different lipcolors, different colors of eye makeup, and even different hair colors. If you want to digitally try on a new look, or even let your friends believe that you’ve finally dyed your hair pink, this app lets you change your look with a few taps. InstaBeauty by Fotoable, Inc. may not have the function that lets you add a smile, but it certainly has a simpler interface, and will let you correct blemishes, smoothen pixelated areas of the photo, even make your face seem slimmer, give you a better-looking nose, and even bigger eyes. It also has red eye correction. Fotoable, Inc. is the company behind the most popular apps that make your photos Instagram-ready: Instamag, FotoRus, and PIP Camera are their creations, too. Left to Right: Instamag, FotoRus, and PIP Camera by Fotoable, Inc. In the process of looking for great selfie-making apps, I came across Fused and Twister. These two apps take photo and selfie-taking to the next level with their quirky, even snazzy, features. Fused by Easy Tiger Apps, LLC. lets you, well, fuse two pictures together, to create stunning photo mash-ups. At first, I was rather apprehensive that it’ll produce a kitschy photo, but when I saw that the result was actually a slick, amazing mash-up, I was sold! If you ever get bored of the normal selfies, take one with Fused and add quirky, unique photos to your social media timeline. Twister by Jadoos Inc. is an app that lives on the wild side. Used with an iPhone 5 or 5s, you’ll be able to let your iPhone take a 360-view shot all by itself. Simply lay the iPhone on a flat surface, and Twister will rotate your phone without assistance. Aside from this nifty function, Twister also has great filters, a night cam, and screen flash. As you may know, iPhone, iPad, and iPod models that are NOT the iPhone 6S do not have the screen flash built-in. So if you haven’t figured out how to enable the screen flash feature on your iDevice yet, this is one app that will give you the screen flash function. Even if you don’t get to use the other, snazzier functions of Twister, the screen flash itself is worth it. There are other ways to make your selfies interesting. 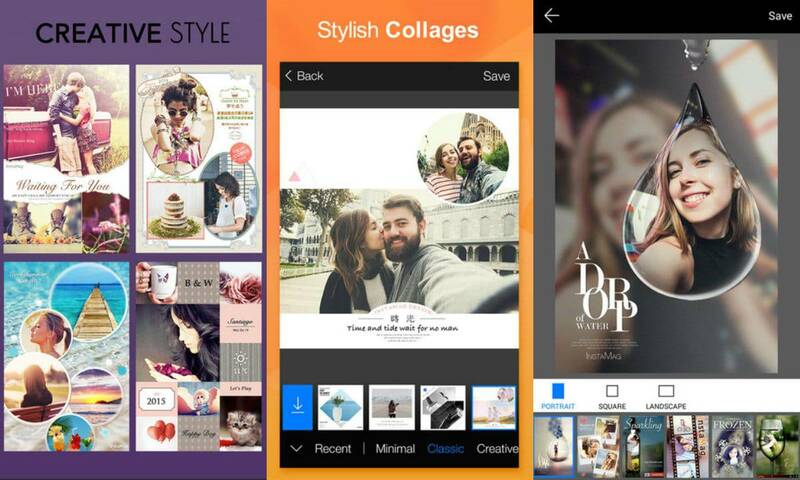 Photo Grid by KS Mobile, Inc. lets you make great collages. TextOnPhoto by YE ZHANG and Text on Photo Square by i-App Creation Co., Ltd. lets you add text directly onto your selfies. They also have great templates available. NoCrop by No Big Deal Apps LLC lets you add that snazzy background blur to your non-square selfies. No Crop by RILEY CILLIAN HONG KONG LIMITED also provides the same function. These apps also have other features that you may find useful for publishing great-looking, interesting, unique selfies. Lastly, these two other multi-purpose camera apps also let you take, edit, and post better-looking selfies: Selfie 360 Camera by Can DAGDELEN is a great all-in-one app that lets you take selfies with filters, as well as edit them for focus, remove red eyes, blur out blemishes, etc. Don’t be turned off by the kitschy splash screen. Once you add a photo you’d like to edit, you can see how comprehensive and powerful the app actually is. Camera Awesome by SmugMug has an image-stabilization feature that shows you whether you’re taking your photo at its level best, or not. 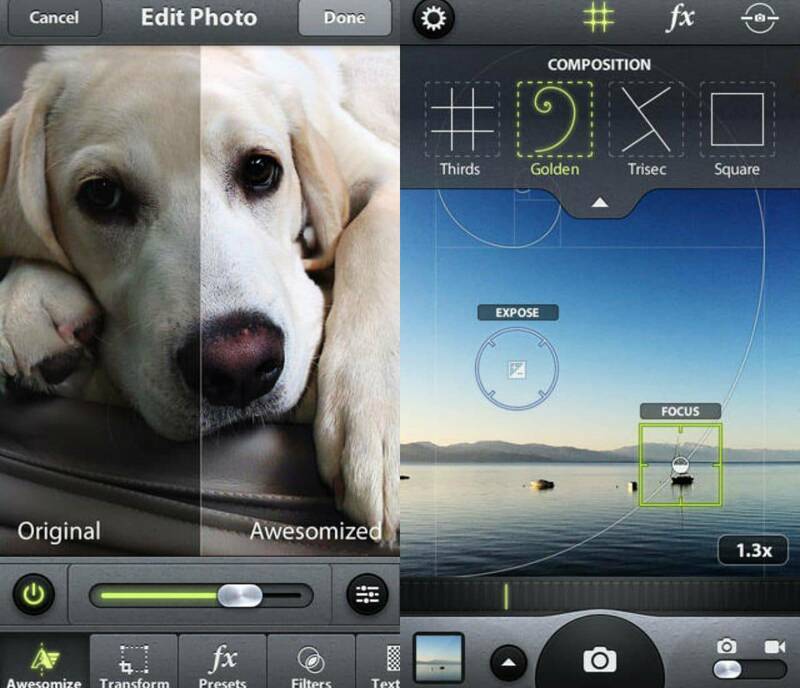 It’s also packed with powerful editing features, as well as nifty filters. While it may be best used with older iPhones and iPads, it’s still worth a shot, so to speak, if you’re on a never-ending quest to post interesting and unique selfies. Not everyone can relate to being addicted to posting selfies, but almost everyone can appreciate great pictures. If you like getting creative with your photos and selfies once in a while, we hope we’ve armed you with this list of great finds from the iTunes and iOS app stores. Happy selfie-taking!